As one of two winners to split a $550,000 Hit 5 jackpot, a Shoreline woman is now able to make the long trip to Alaska to be present for one of life’s sweetest moments. The woman won $275,000 from the Hit 5 jackpot drawing on December 5, after purchasing a ticket at River Rock (21125 Smoke Point Blvd., Arlington, WA 98223) on her way home from her daughter’s baby shower. The winner’s daughter is a soon-to-be mother, and the woman told Washington’s Lottery officials she plans to use her prize money to visit Alaska and spend time with her daughter and grandchild when the baby is born. The winner also plans to spend her money on a family trip to Hawaii since she’s never been before. “I just want to soak up the sun on the beach,” said the woman. Since 1982, Washington’s Lottery has generated more than $3 billion to support important state programs including the Washington Opportunity Pathways Account. Money in the Pathways Account goes toward helping students achieve their higher education dreams and supports early childhood education learning programs. 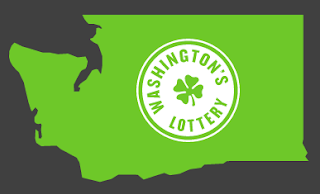 Learn more about Washington’s Lottery, its beneficiaries and to review all up-to-date winning numbers here.